Rising rap star and Grammy nominee Lupe Fiasco joins Jim and Greg for a conversation and performance. Then the critics tackle new albums by chart-topping pop singer Norah Jones and indie rock phenoms Clap Your Hands Say Yeah, and Greg adds a track to the Desert Island Jukebox. First up in the news is the official announcement of The Police reunion, which will kick off at this month's Grammy Awards. Jim and Greg asked Police guitarist Andy Summers about a potential reunion when he was on the show last year, but he wouldn‘t give up any secrets. What isn’t a secret is the potential for big bucks — something our hosts suspect to be the prime reason for Sting, Summers and Stewart Copeland joining forces again. Also cashing in on a reunion is Van Halen. The band has announced it will perform at the 2007 Rock and Roll Hall of Fame induction ceremony, with a possible tour to follow. And, with pending reunions by Rage Against the Machine and Smashing Pumpkins, 2007 is poised to be the year of the reunion. Jim and Greg are still keeping their fingers crossed for reunions by The Smiths, Hüsker Dü and The Replacements. Also making news is rocker Tom Waits. He sued car manufacturer Opel for using his vocal likeness in a recent Scandanavian ad campaign. Waits refused to lend his own voice to the commercial, so he believed Opel went out and found the next best thing. A judge agreed, and Opel was forced to pay an undisclosed settlement which Waits plans to give to charity. This isn't the first time the singer has had to tangle with an auto company. Last year he won a case against Volkswagen-Audi, which also impersonated his voice and changed his song without permission. Next up Jim and Greg discuss YouTube's new plan to share revenue with some of its content providers. The website's co-founder Chad Hurley made the announcement at the World Economic Forum in Davos, and explained that revenues will only be shared with users who own the full copyright of their material. Guess this means that Lasse Gjertsen should be expecting a check sometime soon. This week's guest is rapper, Chicago native, and now Grammy nominee Lupe Fiasco. Lupe, or Wasalu Muhammad Jaco to his parents, made a smash with last year's release, Food & Liquor. He may have even made a bigger smash with the internet leak of the album. And now the album and his hit single, "Kick Push" have been nominated for three Grammy Awards.“Kick Push”began as a track Lupe and producer Soundtrakk created for a Chicago skate shop. He was inspired by a Filipino jazz song and wanted to evoke the atmosphere and culture of skateboarding. Listen to Lupe's live performance of the song, as well as that of "American Terrorist" featuring Matthew Santos. Our guest is something of an anomaly in hip hop today, in that he shies away from misogyny and profanity in his music. Lupe is also a religious Muslim. Greg asks Lupe about reconciling his values with his love of hip hop-something he raps about in the song, "Hurt Me Soul." Lupe explains that his first exposure to vulgar hip hop was through the N.W.A. records his father would play. Jim points out that even Lupe's parents would be interesting to interview. His mother was a chef, and his father was a Green Beret, martial arts master, engineer and active with the Black Panthers. Norah Jones' album Not Too Late is the first up for review this week. At age 27, Jones has already sold millions of albums and won eight Grammy awards, and this latest release is likely to be as successful. Greg predicts it will go to #1. While the bulk of music consumers sure love Norah Jones, Jim and Greg are not sure why she isn't a smaller-scale artist. Both find her voice lovely and her songwriting fine, but neither are wowed by the album as a whole. Jim in particular wishes Jones infused more energy into songs, many of which are pretty political. Because you're certain to hear some of Not Too Late, in a shopping mall/coffee shop/waiting room near you, both critics only recommend you Burn It. Clap Your Hands Say Yeah also recently released a new album. 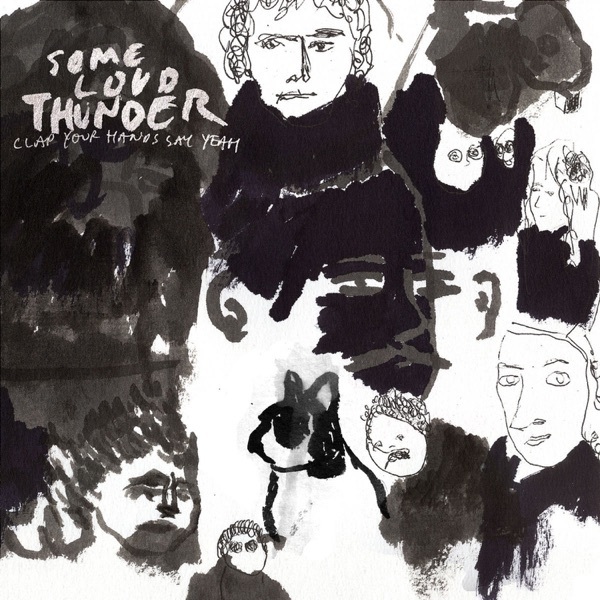 Some Loud Thunder is the follow-up to their highly successful self-released and self-titled debut. The band has again released the album on their own and is selling it on their website. This time, however, they got help from producer Dave Fridmann, who is responsible for the studio sound of the Flaming Lips. In fact, Jim explains that Fridmann serves as the Brian Eno to the band's Talking Heads, despite protests from fans who shy away from that comparison. Greg agrees that he definitely hears David Byrne's influence on lead singer Alec Ounsworth. And for the most part, that influence agrees with the critics. There are a number of solid songs on Some Loud Thunder. Some are even poppy and danceable. But, the remainder of the album is just plain difficult to listen to. For that reason Jim and Greg can only give a Burn It rating. It's Greg's turn to pop a coin into the Desert Island Jukebox this week. He recently saw a performance by Chicago band The Chamber Strings, and was reminded of how great the band is. They released two great albums in 1997 and 2001 before frontman Kevin Junior's descent into drug addiction and eventually, homelessness. After working with a doctor, Kevin started on the road to recovery, and now, Greg reports that the band is working on new material. But, our host cannot wait that long, and wanted to hear some Chamber Strings on the deserted island as soon as possible. He chooses, "Make It Through the Summer," from their album Month of Sundays. (credits) One Chance Feat. Fabo, "Look At Her (Instrumental)"